18ct yellow gold brilliant cut diamond half eternity ring mounted in a channel setting. 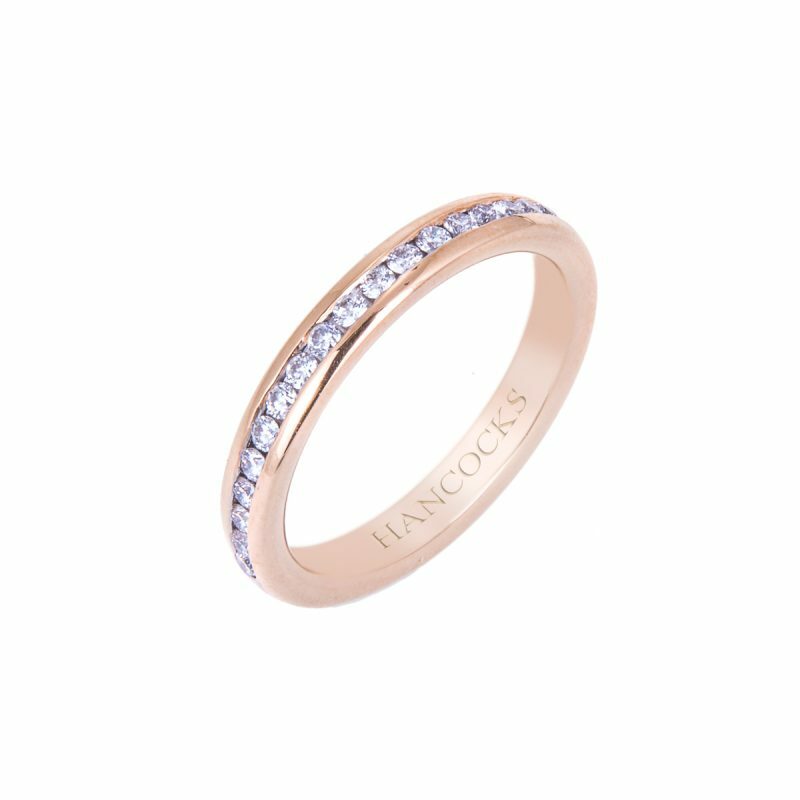 Smooth sophistication, an 18ct gold polished band inset with a line of sparkling diamonds, enclosed in a secure channel setting. 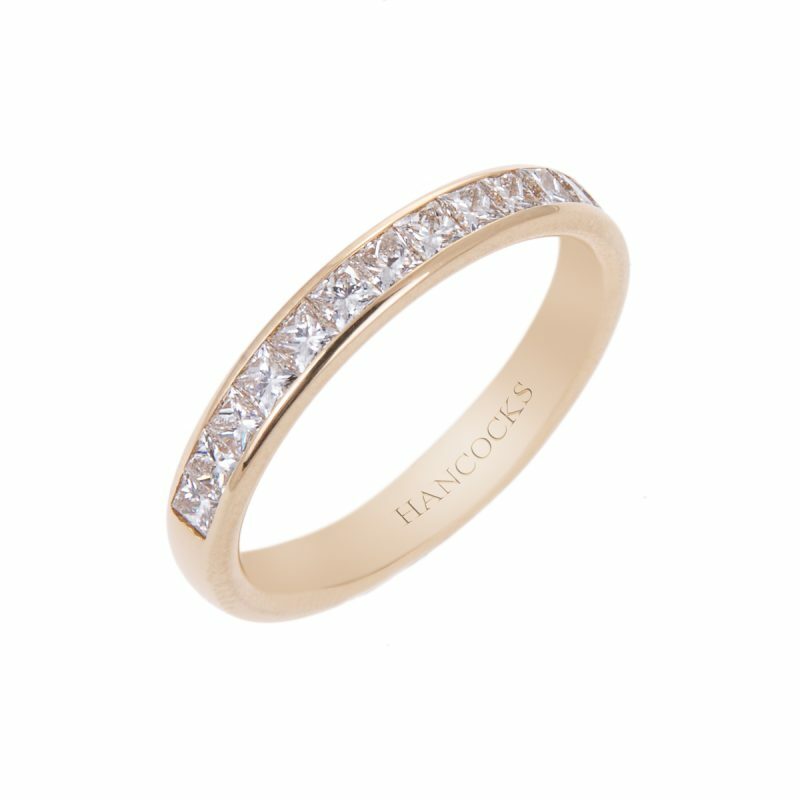 A versatile design that will look stunning worn as either a wedding band or an eternity ring. The warmth and classic appearance of yellow gold, once a great symbol of wealth and stability make it an ideal material for a diamond set wedding band.